Several months ago, conservation districts around the country began an experiment to see the condition of the county's soils. 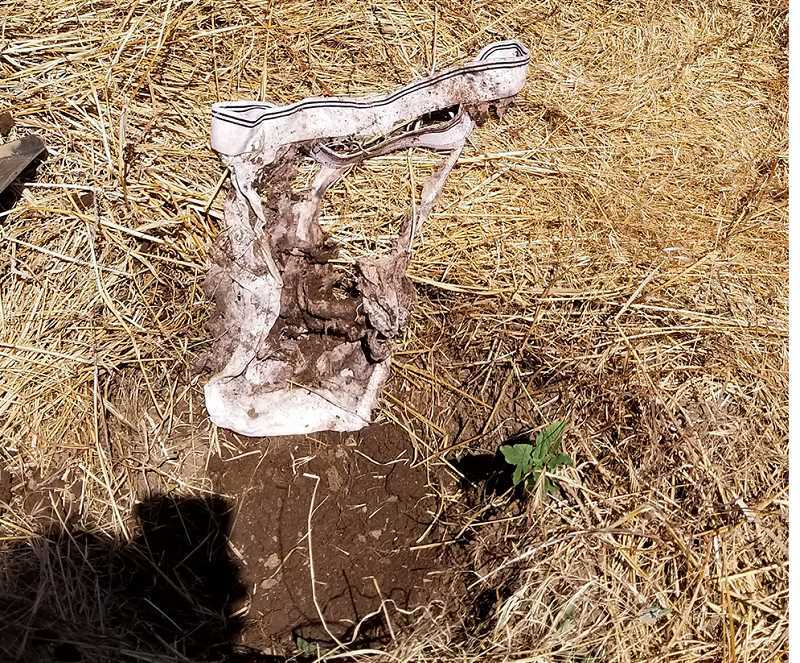 This experiment used men's cotton briefs to determine if the soil was healthy. 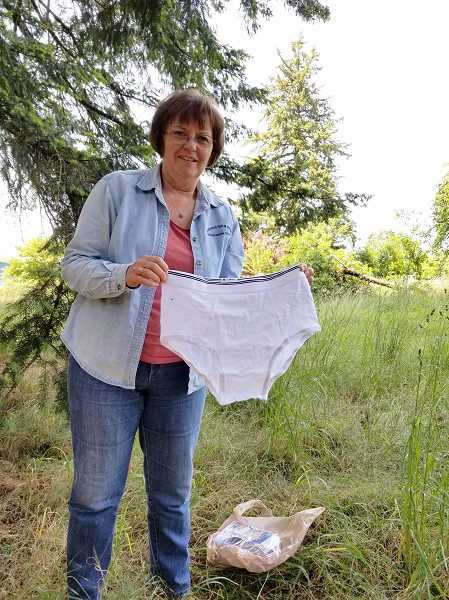 It also happened right here in Clackamas County where 15 pairs of briefs were buried to determine if the soil is good for growing healthy crops that resist insects and diseases meaning fewer pesticides are necessary. This is happening across the United States and even happening with farmers in Canada, Scotland and England. "Healthy soil erodes less because it has better infiltration and water holding capacity. That means less sediment in streams and ditches, plus more moisture in these droughty times," says Lisa Kilders, education and outreach program manager for Clackamas Soil and Water Conservation District. "Healthy soil is more fertile and requires fewer inputs of fertilizers while yields are generally increased. Plants grown in healthy soil are in turn healthier and able to resist insect and diseases so fewer pesticides are needed." Pure cotton briefs were chosen because 100 percent cotton is a food source for soil microbes, so the more degraded the underwear is when its dug up, the healthier the soil. Those microbes include bacteria, fungi, arthropods, protozoa and earthworms. The experiment has several easy steps. The first is to buy or find a pair of white (undyed) 100 percent cotton briefs and take a picture of them. Then dig a hole about six to eight inches deep, which is the plant root zone where most biological activity happens, said Kilders. Lay the briefs flat in the hole and cover with soil. With all the hot, dry weather we've been having, the briefs and soil need to be watered regularly, unless the area is irrigated. Wait two months, dig up the briefs and compare their looks with the initial picture taken. Ken Baker, who has 30 acres of hazelnut trees, tried the experiment beginning around July 1. He is planning to dig them up to see if they are biodegraded in a few weeks. "We planted the underwear right in the orchard. So far we've been watering it to keep the ground moist. It's a fun experiment," he said. After two months experimenters were asked to dig up their briefs. The ones that looked exactly the same showed people their soil lacks the necessary microbes to hold water, require increased fertilizers and pesticides. 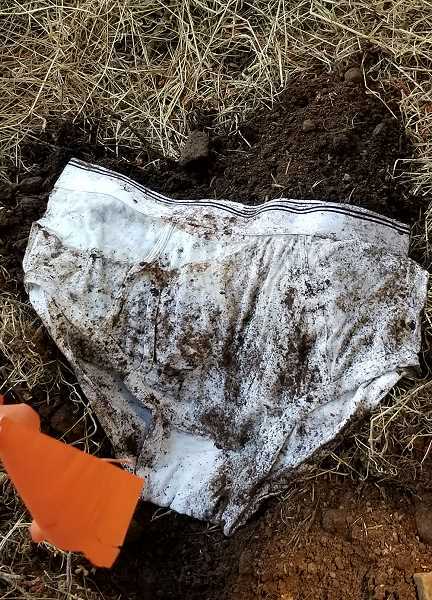 However, the briefs that look like they've been attacked or eaten show the soil quality is high and that soil requires less irrigation and reduced use of fertilizer and pesticides. The soil where the briefs look pretty much like they've just been bought needs a little help from the farmer. The U.S. Department of Agriculture suggests varying plants to keep the soil healthy by rotating crops or planting cool crops in the spring and fall and warm crops over the summer. It also suggests that farmers use cover crops, such as peas and beans because they fix nitrogen in the soil. Use of deep rooted plans like the daikon radish break up compacted soil to provide space for oxygen and water. USDA also suggests tilling soil as little as possible. "It disrupts the soul microbes and ruins their habitat and reduces infiltration of water leading to compaction. Aggregate stability is critical for water infiltration, root growth and resistance to water and wind erosion," according to the USDA. Another suggestion is to keep plants growing throughout the year, which feeds the soil. Living plant roots secrete sugars into the soil, a tasty treat for soil organisms. These are easily accessible to soil microbes, which also like dead roots and plant residue on the soil's surface thus increasing microbe populations and helping cycle the nutrients necessary for living plants. USDA also advocates keeping the soil covered to eliminate erosion. Plant cover breaks the impact of rain, according to the USDA and keeps the soil where it is instead of allowing a loosening of the soil.